Paradise City takes place on Friday 5th, Saturday 6th and Sunday 7th of July in the beautiful domain of the castle of Ribaucourt, Belgium. With an additional fourth stage hosted by Giegling, the fifth anniversary edition of Paradise City will be one to remember with headliners such as Motor City Drum Ensemble, Mind Against John Talabot, Mind Against, DJ Koze and Dixon, 2manydjs, Todd Terje, Egyptian Lover, Polo & Pan, DJ Python, Gerd Janson, Adriatique, Daphni and many more. 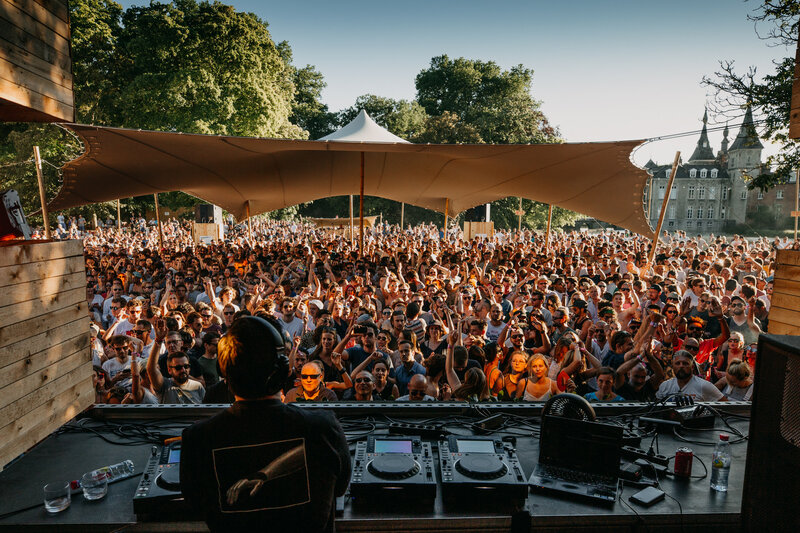 2019 marks its 5th anniversary and the Paradise City recipe has been simple but effective from the start: mix the best electronic music on offer with an open-minded crowd and a strong effort to minimise the ecological footprint. The venue for all this is a stunning park with a historic castle at the centre. It is just 15 minutes from the city centre of Brussels and is an ecological dream with breathtaking views that encourages you to think about greener ways to live life. The full line up is wonderfully colourful and diverse, covering all forms of techno, electro, house, disco and plenty in between. Paradise City are water champions, a recognised Greener Festival that got the honour for saving 27% water over the last two editions and reducing consumption per person to 9.1 litres. This spectacular leap was made possible by, among other things, the use of vacuum toilets, taps with a controlled flow rate and a mobile, ecological water treatment plant (in cooperation with Ecoz) that cleaned the campsite’s shower water before discharging it.